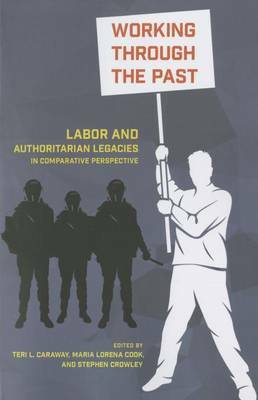 "Combining political, institutional, and economic perspectives, this volume produces a unique exploration of how the effects of authoritarian pasts change over time and vary across national contexts to produce a variety of outcomes for labor." "Working through the Past is an impressive book that grapples with labor's varied trajectories across different settings in Asia, Latin America, and Eastern Europe. This important volume covers a lot of ground in terms of the wide range of important cases analyzed. Yet there is a high degree of theoretical coherence across the chapters thanks to the common framework for tracking how authoritarian legacies can influence the evolution of labor relations. The result is a major scholarly contribution that can serve as a new baseline for anyone interested in labor politics in non-Western settings."